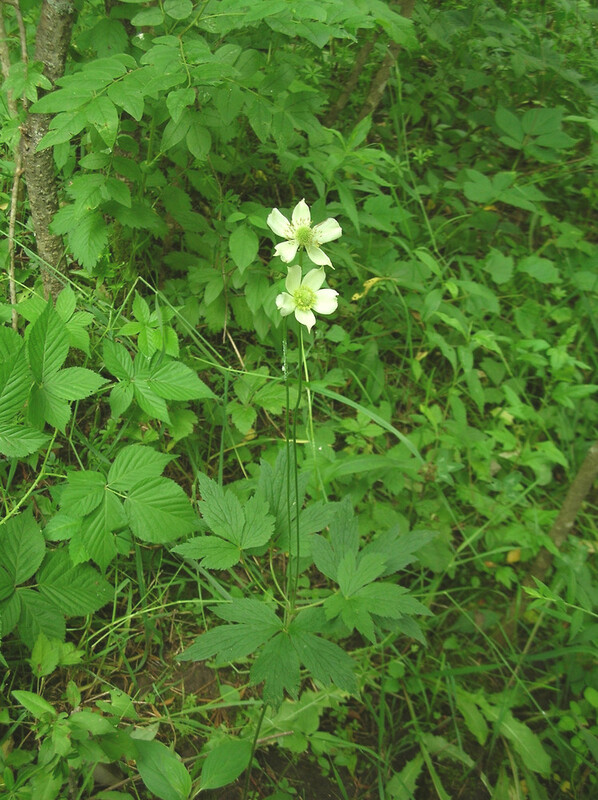 Long-headed windflower is native to sandy and rocky fields, hillsides and woodlands in all New England states. 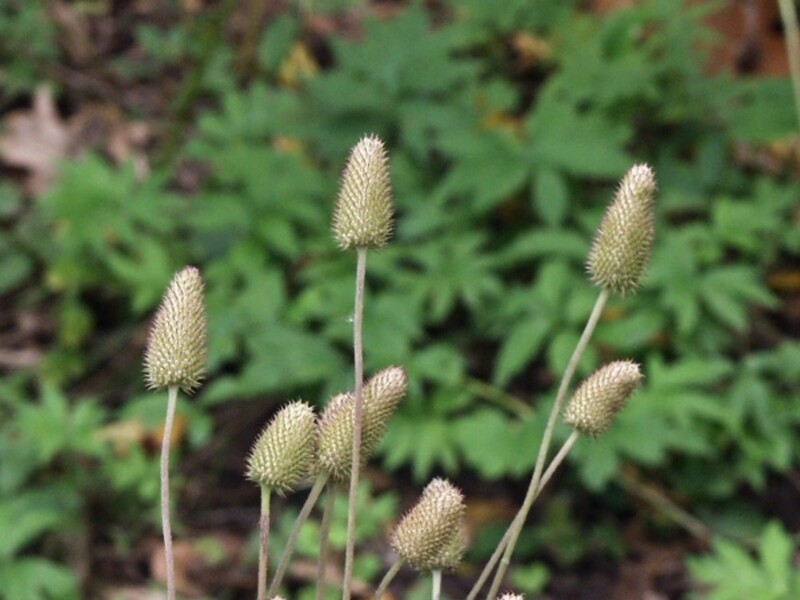 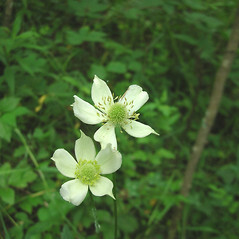 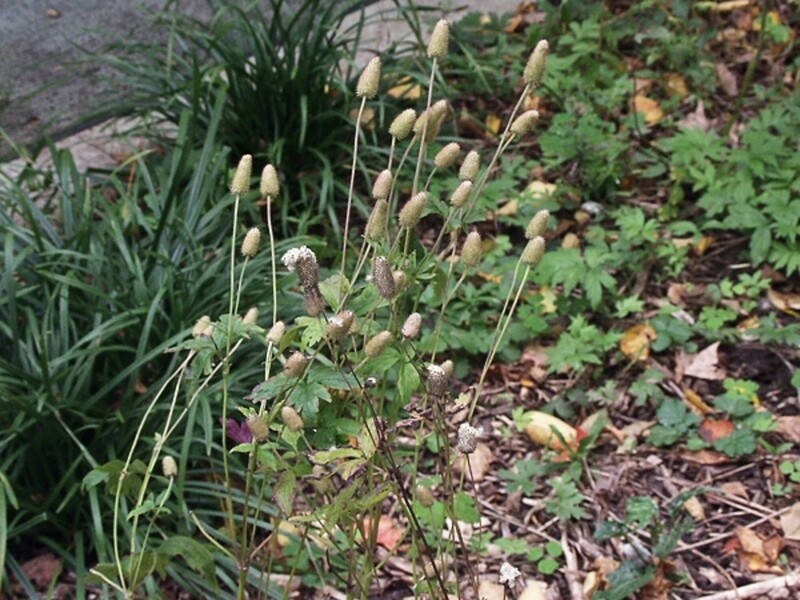 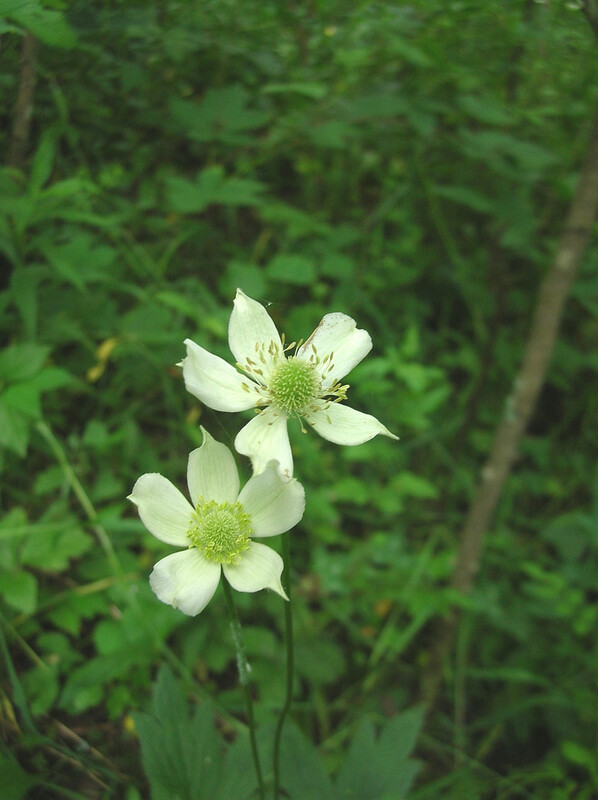 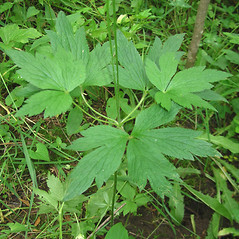 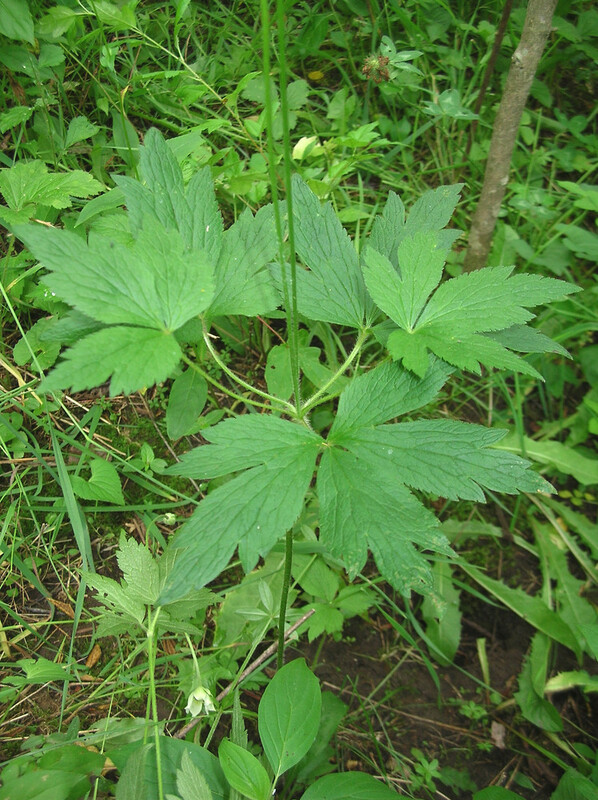 It is an upright, slender plant, and its cylindrical clusters of fruits (achenes) are also much taller than wide), giving it its alternative common name of "candle anemone" or "thimbleweed". 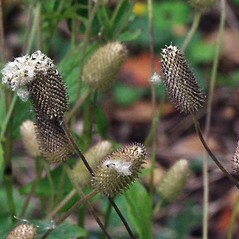 When mature, the achenes are attached to white puffy tails and the cottony fruit cluster releases them to the wind. 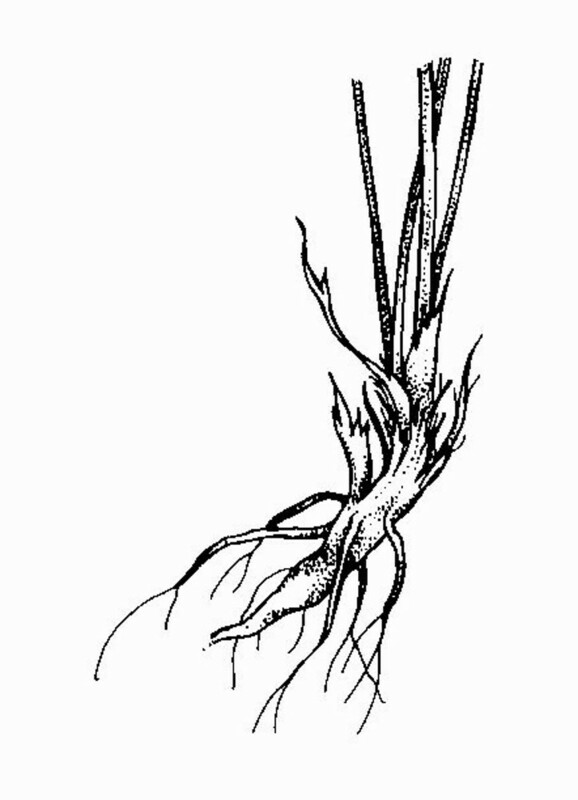 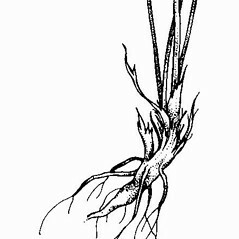 Its root system produces a substance, protoanemonin, that inhibits growth of other plants. 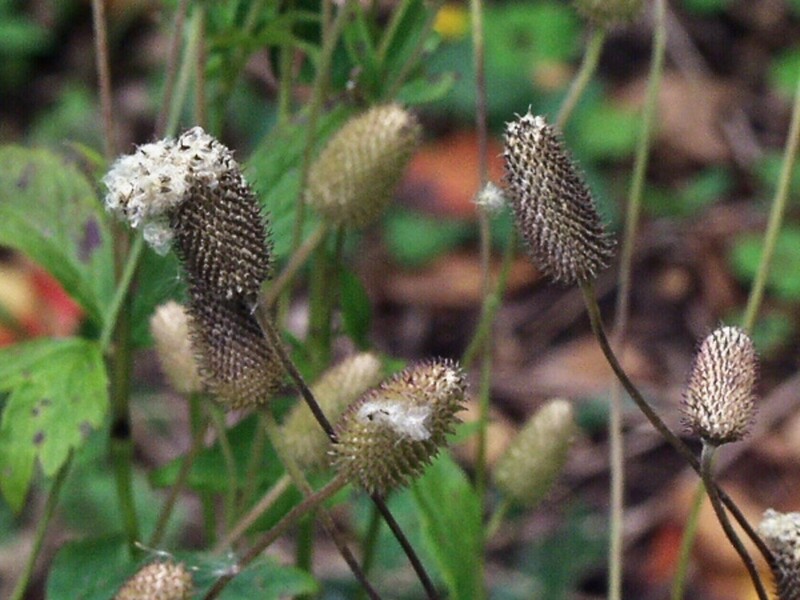 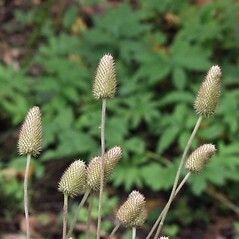 inflorescence subtended by usually 2 or 3 leaves, and the heads of achenes 1.5-3 cm tall and 1-1.5 times as tall as wide (vs. A. cylindrica, with the inflorescence subtended by usually 5-9 leaves, and the heads of achenes 2-4.5 cm tall, 2-5 time as tall as wide). 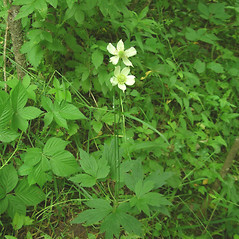 long-headed windflower. 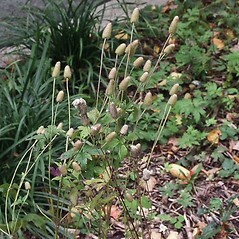 CT, MA, ME, NH, RI, VT. Sandy and/or rocky soil of fields, hillsides, and woodlands.